Rules might exist for a reason? Results aren’t always predictable when rules are broken. 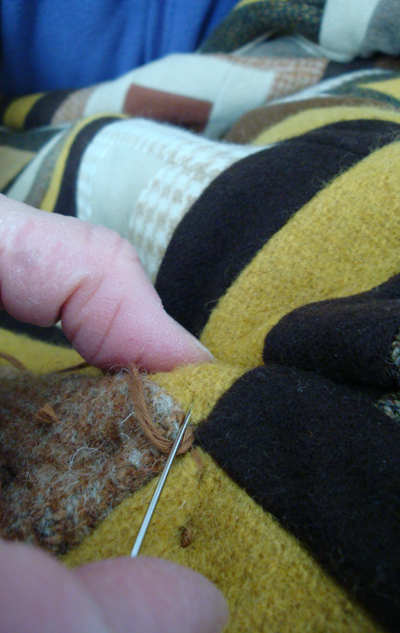 With my lap robe I am using different weights and textures of felted wools and I must remember my “no failure philosophy” as soon as I start my stitching. My stitches are big and primitive as even with much pressing, many seams are bulky and my stitches less even. I have to work at keeping them as straight and even as I can. 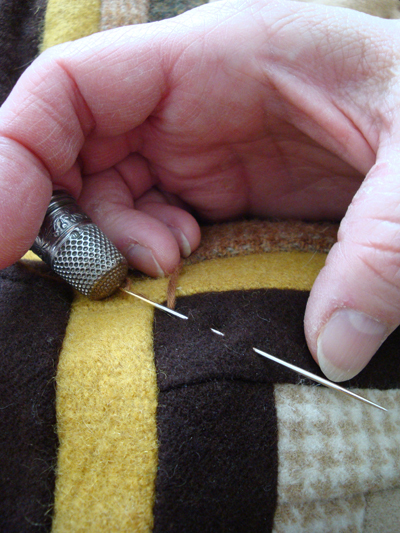 Sometimes I can take only one stitch at a time and other times I can do a regular running stitch. 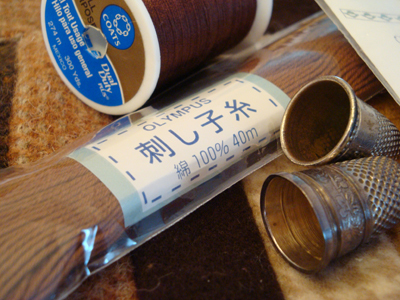 I always feel underneath for my hand-stitching to come through the backing before using my thimble to redirect my needle. I also work my diagonal stitches in one direction, smoothing it as I go. Using my traditional hand-quilting techniques I work from the center to the edge of my quilt with each row of quilting. 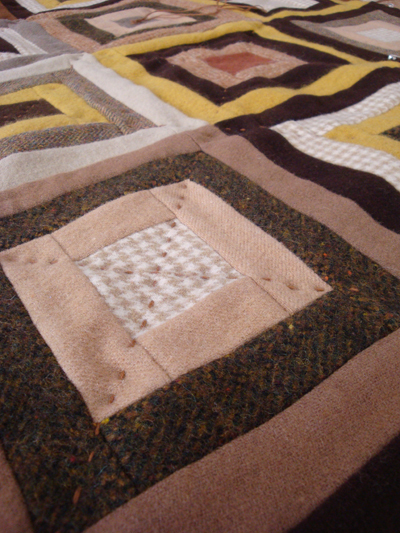 Then I turn my quilt and do diagonal stitching the other direction, forming an “X” in each block. Again I work from the center to the edge. Will I like this primitive quilt, like I had thought I would? I stitch on as only more stitches will tell.